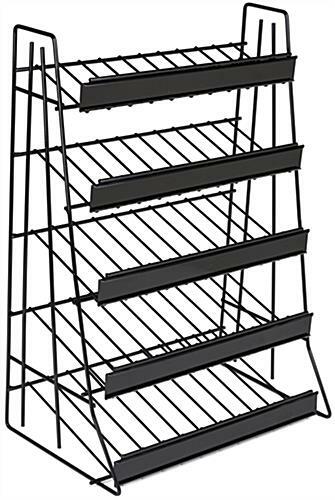 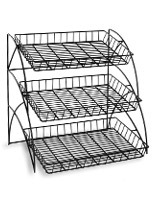 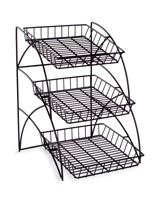 These 5-tier steel wire racks feature a black powder coat finish that goes with any environment. 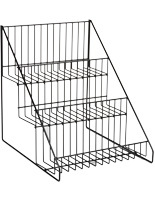 Each stand features titled shelves that make it easy to see merchandise on display. 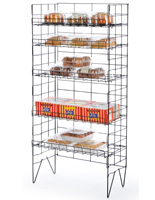 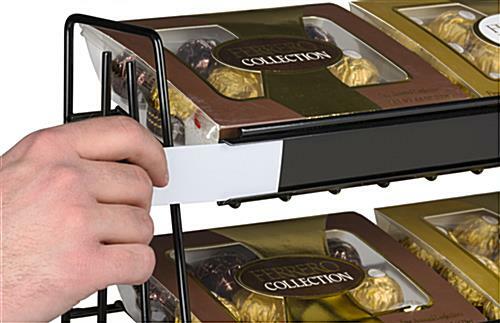 With these steel wire racks, users can create countertop areas for showcasing and dispensing food items, packaged goods and other small wares. 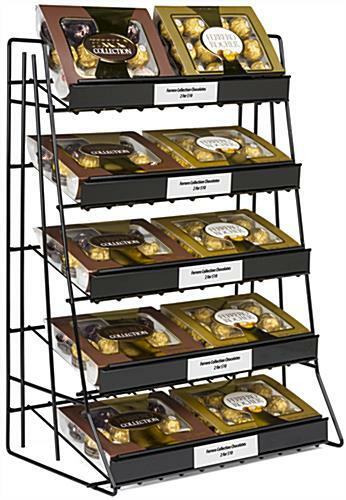 The displays also feature a sign holder on each shelf that can accommodate a 1.4" tall insert. 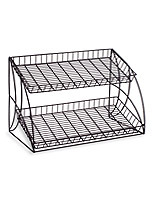 Countertop wire racks like these are great for placement near the cash register for encouraging impule purchases. 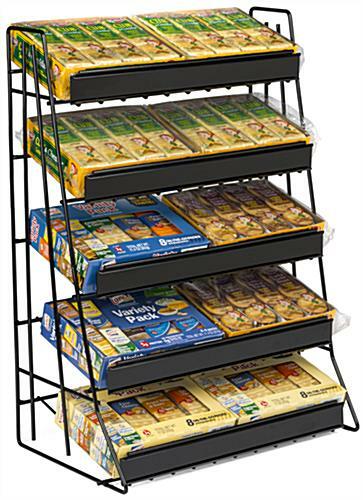 The black stands' welded sign holder is great for informing customers about merchandise and its pricing. 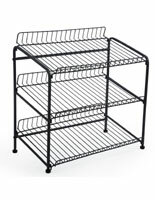 14.5" x 20.0" x 20.0"